Tokyo's Tsukiji fish market, a popular tourist attraction, brought the curtain down on its 83 year-old business on Saturday amid its usual lively atmosphere, with a replacement facility set to open next week in a nearby waterfront district. The new Toyosu market will open on Thursday following a two-year delay after soil contamination raised safety concerns and additional work was undertaken to deal with polluted groundwater. 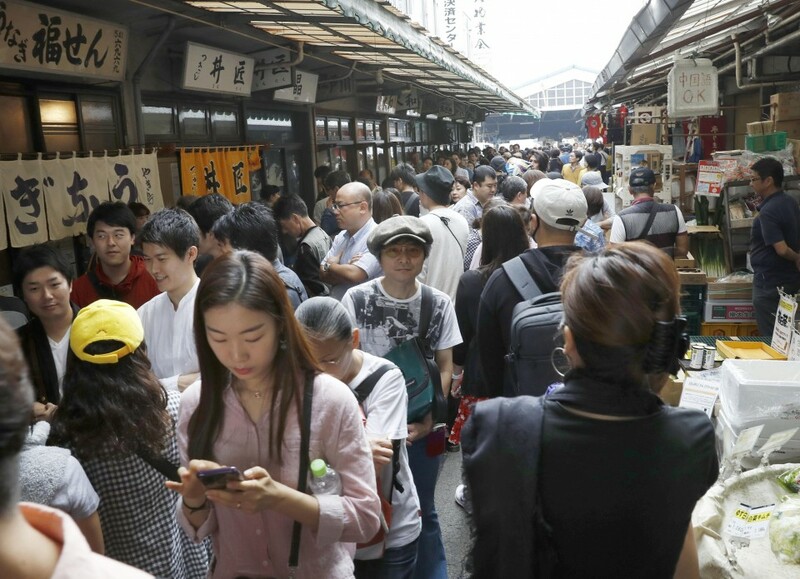 Tours inside the Tsukiji market and the shops and restaurants in the outer market have attracted many visitors, but the Tokyo metropolitan government decided to relocate the aging facility due to concerns about sanitation, earthquake resistance and fire safety. In the Toyosu market, tourists will be behind a glass wall on a second-floor deck. 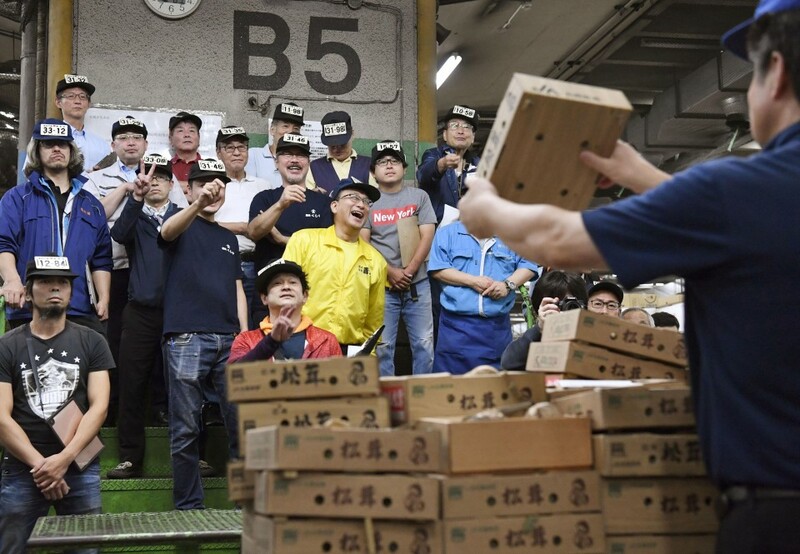 Shortly after 5 a.m. on Saturday, before the start of the auction of tunas, Takeshi Yoshida, president of "Tsukiji Uo-ichiba" (fish market) gave an address on behalf of all wholesalers. "Today, Tsukiji finishes its activities after 83 years and carves its name in history," said Yoshida, followed by all members doing "ippon-jime," a conventional Japanese hand-clapping ritual, to celebrate the last day of auctions. After the bell rang, the auction sites were filled with the usual shouts from all around and the tunas were sold with buyers using their fingers to indicate bidding prices. "Finally this day has come. Let's take our techniques and judging abilities developed in Tsukiji to the new market," said Yutaka Hayama, chief director of a business group of the Tokyo Fish Market Wholesale Cooperative. A 162-kilogram tuna landed in Oma, Aomori Prefecture, fetched about 4.4 million yen ($38,700), the highest transaction of the day but not outstandingly high compared with daily auction prices, according to the metropolitan government. "We have continued our business safely up until now. I'd like to express my gratitude to Tsukiji once again," said Hiroyasu Ito, chairman of Tsukiji Market Association which consists of leaders from main business groups in Tsukiji. "We'll try to establish a new brand (at Toyosu) and bring it up as a core market," said Tokyo Gov. Yuriko Koike at another event in the capital. Not only wholesalers but also buyers and tourists will miss the market. "The fish sold at Tsukiji are credible," said Daisuke Inoue, a sushi storekeeper in Saitama Prefecture, north of Tokyo. The 39-year-old said his store has kept buying fish from the same wholesaler for 48 years since its opening, and he "will keep going to Toyosu (to buy fish from the same wholesaler)." "I just learned yesterday about the closure of (Tsukiji) when I was watching the news. It's lucky that I was able to eat sushi here on the last day," said Lim Chean Liang, a 26-year-old tourist from Malaysia. Some people, however, gathered in front of the Tsukiji market to protest the relocation. About 900 businesses in the Tsukiji market will temporarily close their operations until they can reopen at the new facility, causing buyers to shop from other markets in Tokyo. Some restaurant operators said they will be forced to temporarily close their businesses, as well. Some buyers are concerned that the new Toyosu market in a less convenient location will cause road traffic congestion. There has also been persistent opposition to the relocation due to soil contamination at the new site. The current site of Tsukiji market, situated on reclaimed land in the heart of the capital, will be used to pool transport vehicles for the 2020 Tokyo Olympics and Paralympics. A stretched section of a beltway will also run through the site to improve access from central Tokyo to the coastal area where some Olympic facilities will be located.